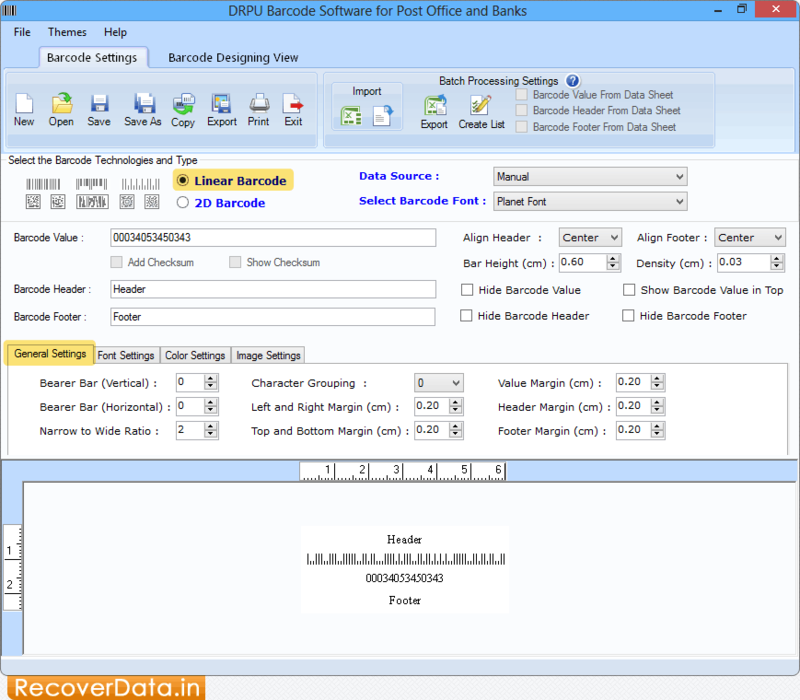 Choose 'Linear Barcode' option and then click on 'General Settings' tab to set Value Margin, Header Margin, Character Grouping, etc. 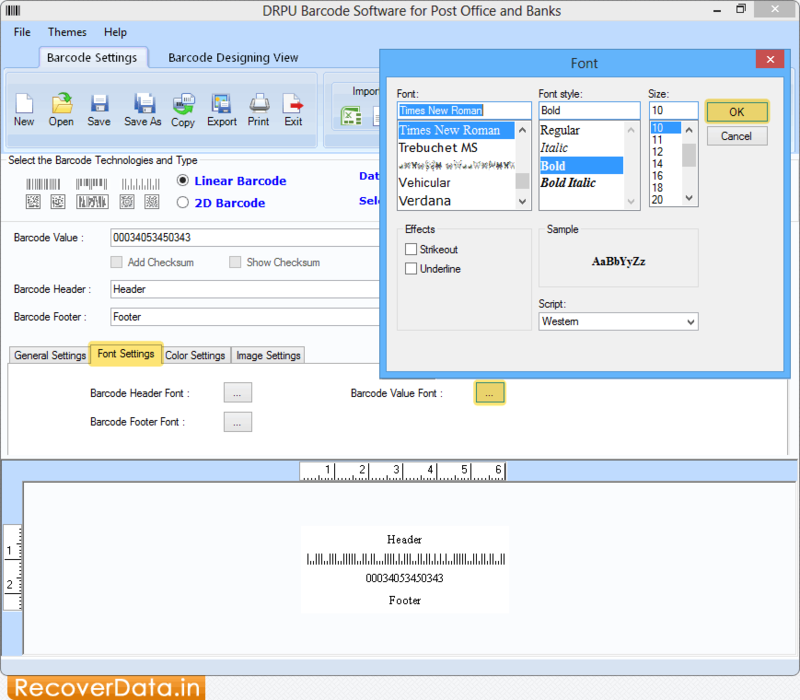 Using 'Font Settings' you can select Font, Font style and Size for Barcode Header and Footer. 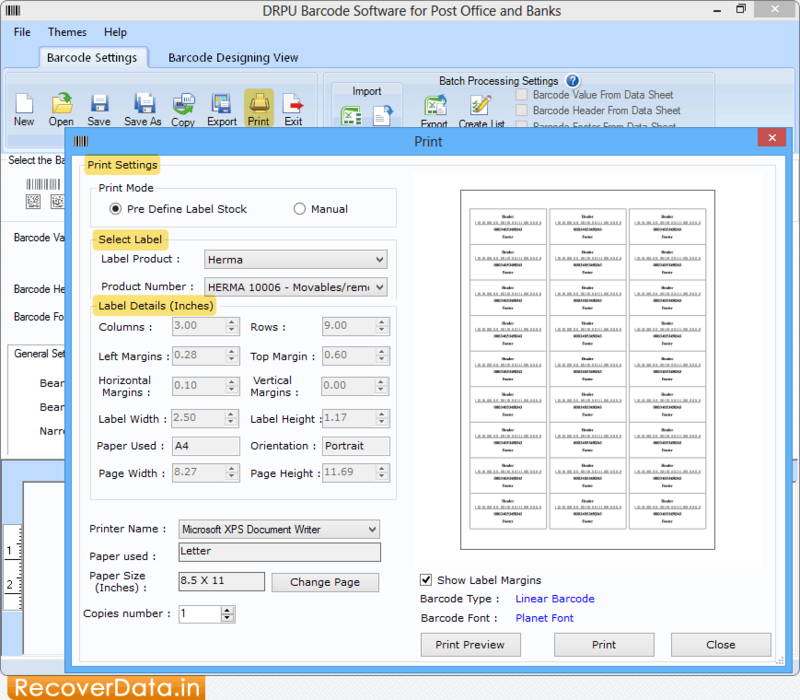 In print Settings, choose print mode (either Pre Define Label Stock or Manual) then select Label Product and Product Number. Now Go to the 'Print' button to print your desired label.